Cuban businessman Jorge Emilio Perez de Morales was taken into custody on Friday; Perez is a fugitive, wanted on a money laundering conspiracy charge that alleges he laundered $238m in fraudulently-obtained Medicare payments. Perez' case was the subject of interest in June, after his Miami attorneys sought to have his indictment dismissed, though he was at that time a fugitive from justice. His lawyers asserted that he operated a legitimate money transfer business totally outside the United States, but the Court ruled that the conspiracy also occurred outside the US,, since the underlying offense was committed in America. Perez has been evading justice since the case was filed in 2012, by living in Spain. We have previouslt covered this case on the blog. A large number of Cuban-based medicare fraudsters have fled the United States, after perpetrating billions of dollars of medicare fraud, and thereafter moving to countries where American extradition efforts have run into procedural obstacles, the payment of bribes to government officials, and political roadblocks. Many have returned to Cuba, as well as the Dominican Republic, and artfully evaded all efforts to return them to Miami, to face justice. We hear a lot about new players in the marketplace for candidates to replace the old, now obsolete First Generation AMLCFT commercial-off-the-shelf databases, of high risk individuals. Having once worked for two of them, I believe that I have sufficient insight into confirming that their time has come and gone; static databases, even those that enter daily updates, are by their very nature limited. It is the Second Generation that aims to serve the global financial community, by expanding the available data, but I am troubled by the fact that a number of those new contenders for the role previously occupied by World-Check are asserting that their product is "cloud-based," when, in truth and in fact, they are only partially correct. (1) Information sites behind a paywall. (3) Federal, Provincial, State and local sites that contain massive amounts of data. (4) Legal sites, including both reported and unreported decisions, and dockets. It objectively appears that few, in the current compliance marketplace. actually are cloud-based. In your haste to upgrade your AML/CFT compliance program, make an educated choice, based solely upon the ability of the product, not marketing hype; Choose well, so that your enhanced due diligence inquiries bear fruit. The recent extremely damahing admissions. 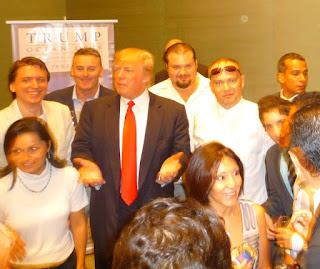 made by Odebrecht's attorney, incriminating not only the former Panamanian President, Ricardo Martinelli, but its current national leader, Juan Carlos Varela. have caused multiple demonstrations and protests in the republic of Panama. Some unconfirmed reports state that riots have also broken out, as Panamanians who have tired of the massive corruption that pervades government express their wish for reform, and regime change. In light of the large number of individuals now known to have accepted bribes from the Brazilian construction firm, compliance officers at international banks, located in North America, or Europe, would do well to review their client lists, and to closely examine all Panamanian nationals holding substantial accounts, and to demand that they provide Source of Funds information about their holdings. In the event that the client objects, file a Suspicious Activity Report forthwith, and reach out to your law enforcement contacts. 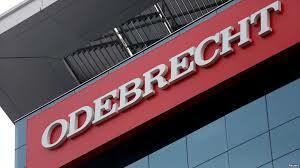 The Odebrecht scandal trumps all prior corruption cases in recent memory, and you do not want to be one of casualties of the ongoing, and subsequent, investigations flowing out of it. The Ng Lap Seng $1.3m bribery case ended this week in a conviction, in US District Court in New York but it is the context, regarding the Caribbean aspects of the fact pattern, which is most troubling. Will the rampant corruption in the region, so painfully exposed by the Ng case, ever be suppressed, and is the United States to blame ? 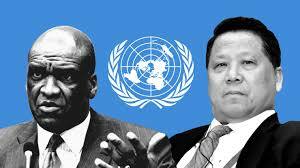 (1) Both of the two UN diplomats who received bribes were representatives of Caribbean nations, the Dominican Republic, and Antigua & Barbuda. Ng's objective was to obtain their support for his planned Macau conference center, as a permanent venue for United Nations-supported South-South Center. It was no accident that Ng, when faced with a choice of which nations to seek to influence diplomats, through bribery. (2) Ng Lap Seng illegally obtained a diplomatic passport, from corrupt officials in the Commonwealth of Dominica, notwithstanding his long history of both organized crime connections, and affiliation with prostitution. He was also the defendant in a Nevada civil suit alleging major misconduct. Why on earth did Dominica approve his application ? He was clearly unsuitable to act as a diplomat, even on paper, without performing any actual duties or missions, but his cash carried the day. Greedy Dominican politicians accepted it, and it was never turned over to the national treasury. Does at least part of the blame lie with the United States ? After all the US has totally ignored the developing nations of the East Caribbean, since 9/11; where else in the world does the United States maintain a regional embassy, for all the countries in the area, than the solitary, and overextended, embassy in Barbados ? This is a sad fact, notwithstanding that the Caribbean is literally the third border of America. American non-interference fosters Caribbean corruption, for the guilty do not fear arrest, either in their own countries, or in the US. Whether you blame the United States or not, things in the East Caribbean must change; exploding populations, lack of meaningful foreign investment, undue influence from China, money laundering, all spell major future trouble in those small nations, and corruption drives all of those problems. Rodrigo Durán, the former attorney for Norberto Odebrecht SA, it is being reported, in major Latin American media, has alleged that Juan Carlos Varela, the president of the Republic of Panama, received a bribe of one million Euros, from his client. While this allegation is extremely damaging, there are 40-odd other Odebrecht bribe recipients named from Panama, including the former president, Ricardo Martinelli, who is now fighting extradition to Panama, from Miami. The report alleges that Varela received the money in an account at HSBC in Hong Kong; some Panamanian sources are stating that the government in Panama City unsuccessfully sought to have Varela kept out of the Odebrecht charges. Anybody looking for Russians ? look no further. It appears to have started out as due dligence research upon those American residents who are unbanked; how does one develop a personal or financial profile on customers who have bank accounts ? Second Generation cloud-based databases now look at their Facebook pages, and any other social media sources, which will reveal relevant details for a due diligence investigation, on individuals without any normal data. 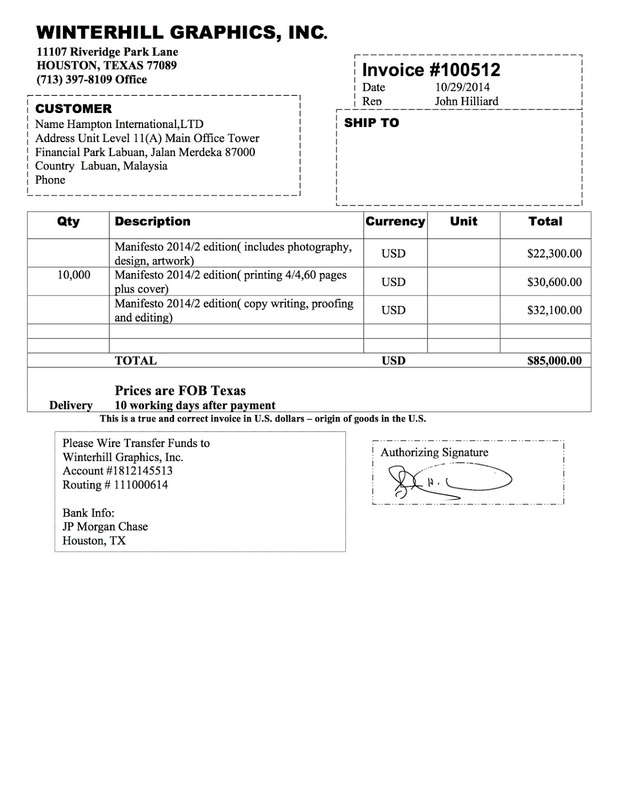 Those pages also provide supplemental information on more conventional inquiries. It is amazing just how many photographs one can access through these Second Generation research tools, confirming business relationships, depicting images of holiday events, and social meetings with clients or customers. They can also uncover social contacts between known criminal elements, and parties who represent themselves to be legitimate businessmen, rendering all the traditional first generation databases, that have been in use since 9/11, obsolete. 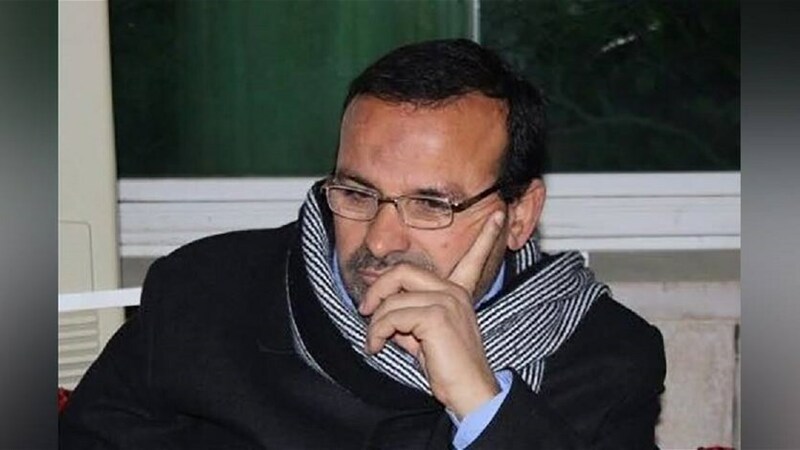 Kassim Tajideen is the alleged Hezbollah financier and OFAC-listed Specially Designated Global Terrorist (SDGT), charged, in US District Court in DC, in an 11-count indictment, with evading IEEPA sanctions, but the real interesting part of his case has to do with his attorneys. It should serve as a textbook example of what not to do, when your client is charged with a Federal crime. 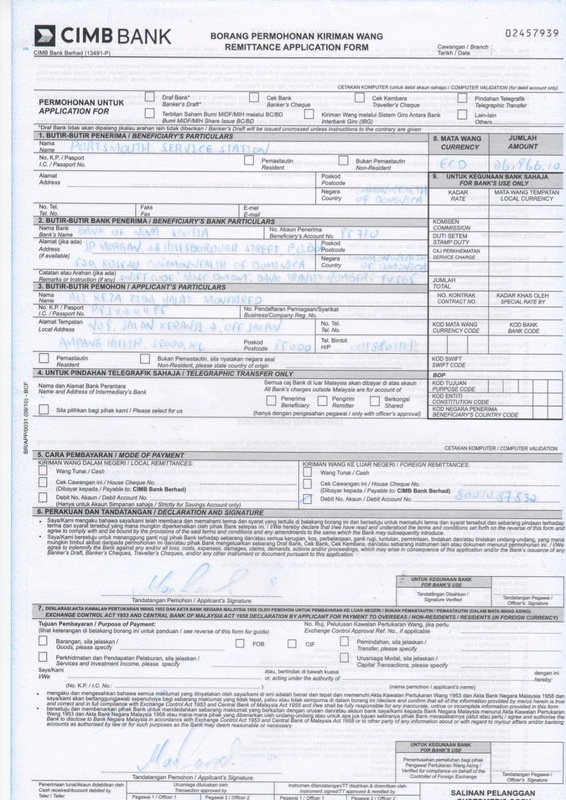 During the years prior to Tajideen's indictment and arrest, attorneys filed a number of petitions with OFAC, seeking to have his 2009 SDGT designation removed. Some of these lawyers are now on the defense team in his criminal case, and the Government has filed a notice, regarding a potential conflict of interest of these attorneys, as they may be called as witnesses, regarding those filings, which are now alleged to have contained fabricated, misleading, and inaccurate information. No ruling has been handed down on this issue yet by the Court; the Government's Notice was filed July 18. 2017. (1) If you are a criminal defense attorney do NOT file any petitions for clients, with OFAC, as you may later be called upon to defendant that client, and your OFAC filings expose you are a possible witnesses. Criminal lawyers should not be performing any civil work for clients who they may possibly represent, in a subsequent civil case; This is not rocket science. ; far too many criminal defense attorneys have fallen, because they performed some routine civil work for a client. Remember what your client does for a living, remember, and remember well, the Crime or Fraud Exception to the Attorney-Client Privilege. (2) if you are a civil attorney, and you did file petitions with OFAC, on behalf of clients, do NOT sign on, as additional counsel of record, in those clients' criminal cases, just because the client, or defense attorney, ask you to. The same conflict of interest issues may rear their ugly head. Readers who are following Martinelli vs. United States, can now access the docket on the US Supreme Court website. The original case number for the petition is 17A126, and the docket number is now 17-131. IS IT NOW TOO DANGEROUS TO HAVE PEPS AS BANK CLIENTS ? In the aftermath of the ruling of the Supreme Court of Pakistan, disqualifying Prime Minister Nawaz Sharif, due to the disclosures appearing in the Panama Papers, compliance officers at international banks must now ask themselves: do Politically Exposed Persons (PEPs) pose too great a risk to reputation, to carry them as clients ? Sharif, whose family was unable to account for assets that were completely disproportionate top his known income, was outed, as were dozens of other PEPs, around the world, when their dirty laundry (ownership of BVI and Panama shell corporations, with bearer shares) was exposed in a very public way. This brings up our point: why bank potentially these troublesome individuals at all ? Global corruption, in the developing world, remains at a very high level, as greed trumps morality in those jurisdictions where enforcement is lacking, due to the weakness in the Rule of Law. The positive publicity a bank may derive, from banking a prominent government leader, when newspaper photos are taken from his appearance at the bank, or the movement of lucrative government accounts to your bank, is not worth the possible damage he might later inflict upon the bank, either through negative news, regulatory fines & penalties, or even criminal charges. My thought is, since you are operating a risk-based compliance program, that you red-line all PEPs from jurisdictions where corruption is known to be rampant, without exception. Unless you intentionally bar them, expect to be bitten, one way or the other, when they fall, either through exposure, indictment, extradition, or sanctions. 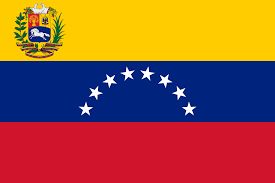 The thirteen prominent Venezuelan nationals, added yesterday, by OFAC, to their SDN list, should be a wake-up call for you to examine, in detail, your customer lists. You are looking to reduce your level of risk of banking, directly or indirectly, the sanctioned individuals, their assets, or their funds transfers, in the period immediately prior to the imposition of sanctions, or the immediate aftermath. (1) Are any close relatives of those named clients of your bank ? Check last names; you are searching for relatives on both the sanctioned individuals' father's, as well as mothers' sides. (2) Have any of the those clients made substantial transfers lately ? Where did the funds go ? (3) Were any accounts opened recently ? Do any of those maintain substantial balances, or suspicious activity ? (4) Do any of those bank customers live in the United States ? Are there any corporation accounts, in which they are signatories ? You are advised to immediately check your bank's customer base for potential movement of funds, on behalf of newly-sanctioned Venezuelan PEPs. 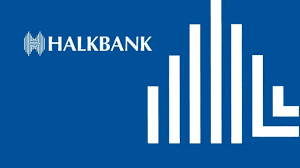 JUDGE IN ZARRAB CASE: ARE THERE ANY AMERICAN SHAREHOLDERS OF HALKBANK STOCK ? Buried in the most recent order, directed to counsel for the detained Halkbank officer, indicted for his role in the Iran sanctions evasion case, in US District Court in New York, is a curious question: are there any Americans who own Halkbank stock, and does the bank deserve punishment for its conduct ? Though basically a Turkish government-owned financial institution, due to it majority ownership of bank stock, it appears, from a cursory look, that there are a small number of private shareholders. Halkbank is not OFAC-sanctioned, although it has been alleged that the bank was Zarrab's primary facilitator of his oil-for-gold thirteen billion dollar evasion scheme. This may be for political reasons, as Turkey is a NATO ally, and EU candidate for membership. Are there American citizens or residents who own Halkbank stock, and how does this affect the case ? We cannot say, but should OFAC now name & shame the bank, those Americans, if there are owners of stock, would have some serious problems, and might be required to either unload their holdings, or have them seized. Anyway, why all this interest, from the trial judge, I wonder ? Longtime readers of this blog may recall that we questioned, back in 2013, OFACs failure to name Reza Zarrab, as an SDN; it named his partner, Babak Morteza Zanjani, and the offshore shell bank that they controlled, First Islamic Investment Bank. As we regularly recount, OFAC is often late to the party, when it comes to sanctioning bad actors; will judicial interest in Halkbank, result in OFAC action ? Such a step will deny the bank access to the US financial system, and could drive it out of business. 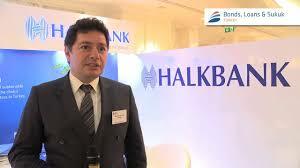 Will Halkbank be called to account for its actions, either in court, or as part of an administrative ruling ? Former Panamanian President Ricardo Martinelli Berrocal, in Federal custody in Miami, due to the Republic of Panama's pending action to extradite him, on multiple charges, has filed an Emergency Petition*, for a Writ of Habeus Corpus, with the United States Supreme Court, to obtain his release on bail. Señor Martinelli faces more than a dozen criminal charges in Panama City, though the extradition request was filed on only two of those offenses. Readers who wish to review the complete text of the petition may access it here. If you thought that the Iranian oil sanctions evader and fraudster, Alireza Monfared, was only guilty of white-collar crimes, think again. 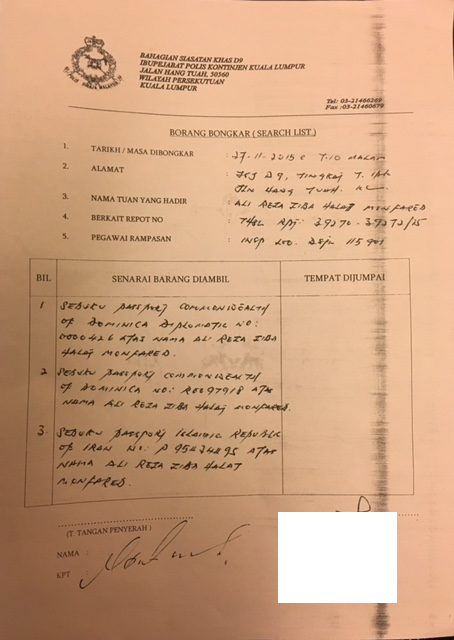 Monfared avoided arrest, by Malaysian police, on charges of illegal drug use, and sexual offenses against staff, by claiming diplomatic immunity, and displaying the Dominica diplomatic passport that he had purchased. It made no difference that Malaysia had not (and never would), accept Monfared as a legitimate, accredited, diplomat from Dominica, he still used the passport of evade justice. He also defaulted upon a number of six figure debts, incurred when hosted the Dominica government visit, of Prime Minister Skerrit, and his staff. Suit was filed on some of those unpaid accounts. Monfared simply walked away from his obligations in Malaysia, with reported bags of cash, and relocated to Dominica, where the CBI project manager, Emmanuel Nanthan, accommodated him with a secluded residence, for Monfared and his mistress. This man is a diplomat, representing Dominica in an honorable manner ? Just one more career criminal with a CBI citizenship, and a diplomatic passport, from Dominica. Francisco Illarramendi, whose Federal conviction for running an unregistered hedge funds that was in actuality a Ponzi scheme, was affirmed on appeal, now has a 2255 Petition pending, alleging Ineffective Assistance of Counsel, due to his inability to have the attorney he wanted, to represent him. He alleges he was not made fully aware that he could potentially receive a long sentence, and was told his attorney was seeking a sentence of Probation. The Court has afforded him the opportunity to obtain counsel; so Illarramendi has asked for the appointment of Stand-by Counsel. Such an attorney only advises him, and is not responsible for drafting pleadings, and arguing on his behalf. is Illarramendi now just setting the stage for another appeal, where he will allege that Stand-by Counsel was ineffective ? The defendant's victims deserve closure; the evidence against Illarramendi, who stole billions from PDVSA pension funds, broke the law while out on bond, resulting in his rearrest, and pretrial detention, and who failed to admit his conduct caused the massive losses, was overwhelming. Now he is attempting to game the system once more. We trust that the Court will see through his tactics, and dismiss his petition, the last gasp of an unrepentant Ponzi schemer. 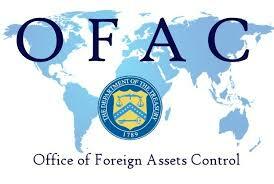 HOW DO OFAC-SANCTIONED INDIVIDUALS ENTER THE UNITED STATES ? Airbnb, the successful company that vets potential clients who wish to rent private rooms, homes, or apartments, on a short-term basis, notes in a recent article that it checks the names of applicants against the OFAC sanctions list*. This brings up a valid question; how can individuals who appear in the OFAC sanctions list, as Specially Designated Nationals (SDN), or any of the other OFAC categories, be in the United States ? They are not supposed to be here, as they cannot enter into business transactions with any US persons or entities; they cannot even buy a carton of milk. Obviously, when international airlines book foreign travelers seeking to enter the United States, they require passport information. Since airline checking of its own databases, would pick up the name of a sanctioned individual, how do they gain entry into the United States ? One of the primary methods is to secure a passport from another country, such as from one of the Citizenship by Investment (CBI) nations of the East Caribbean, with an altered name. 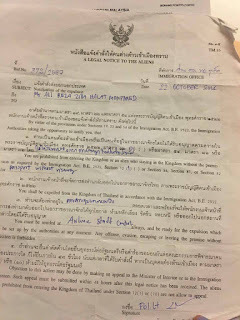 Minor spelling changes, or even a completely new alias, can be obtained, especially when corrupt local passport agents are earning an obscenely high commission intervene, and bribes are paid, to change identities. For this reason, when the passport holder's place of birth is outside the country in which he holds a passport, the circumstances surrounding precisely how he came to be a citizen of a nation where he was not born, must be examined. Remember that St Kitts conveniently omitted that little detail from its CBI passports, until global awareness forced it to cease that suspicious practice. Unfortunately, the Office of Foreign Asset Control (OFAC) does not provide photographs, to accompany its sanctions news releases, but Google Images can assist in ruling out an individual, as well as social media sites. You may even see a photograph, from newspaper sites, or crime articles, that will further assist you in identifying a possible OFAC-named individual. Run the individual on a cloud-based, second generation database, to better ascertain whether he is indeed named & shamed. After receiving email requests from Emmanuel Nanthan*, head of Dominica's Citizenship by Investment program, Alireza Monfared, a partner, with Babak Zanjani and Reza Zarrab, in the massive Iran oil sanctions evasion program, paid $200,000, to a company in Texas that was providing services to Dominica's Labour party, in the country's 2014 elections. 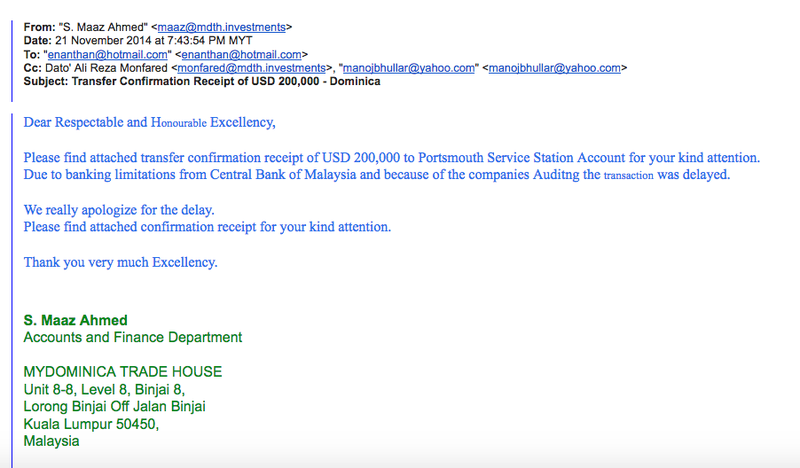 Note the Labuan, Malaysia address on the Invoices. * I have copies of these emails, in which Nanthan, also known as "Mano," sent the above Invoices to a member of Monafred's staff for payment. Two of the partners in the billion dollar scheme that artfully funneled sanctioned Iranian oil around global regulations prohibiting its sale, Babak Zanjani, and Alireza Monfared, are both in custody somewhere in Iran's warren of black prisons. Zanjani has been sentenced to death, for stealing billions, and Monfared, a suspected rogue Iranian intelligence officer, is detailed indefinitely, without trial; both are isolated from the world. We know that both Iranians controlled a dodgy offshore bank, First Islamic Investment Bank, known to be OFAC-sanctioned, as is Zanjani; both also have another thing in common, which they obviously used, during the period in which they illegally moved Iranian oil. Both Zanjani and Monfared have bogus passports, credential that they employ to masquerade as citizens of Denmark . No, Denmark does not have a citizenship by investment program; these documents are fraudulent, though they do pass scrutiny. Who in Danish government was bribed to obtain official blank passport forms, and create the documents, I wonder, and how many Schengen Zone countries did they transact illicit business in, using those travel documents ? 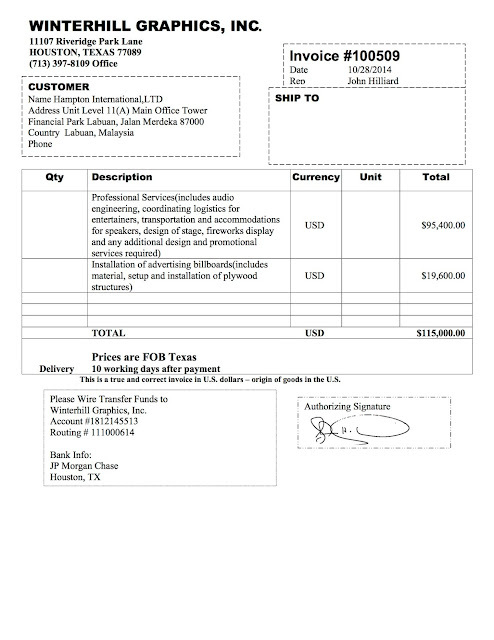 Wire transfer instructions, and email correspondence, confirms that payments made by Iran international oil sanctions evader, Alireza Monfared, to obtain a diplomatic passport from senior officials in Dominica, were diverted, by the head of the country's CBI program, to a personal bank account of one of the individuals who operates the illegal program. 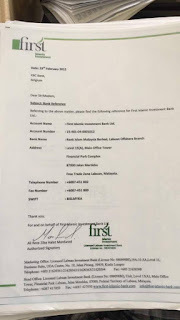 Emmanuel Nanthan, who is the senior CBI official in Dominica, ordered Monfared's agent to send the money to an account of the "Portsmouth Service Station;" that is definitely NOT a government account; it belongs to one of people who operate the Diplomatic passport sales program, a scheme that violates the Vienna Convention on diplomacy, which was adopted by the United Nations, and is therefore binding upon Dominica, a UN member. Perhaps a view of the documents might afford better understanding of the timeline. These documents speak for themselves, and are a damning indictment of the players, who are all government officials and leaders, at the highest level, an organized crime syndicate, using official positions for personal monetary gain. 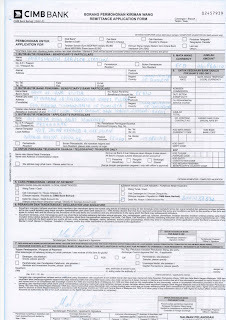 The attorneys for Mehmet Hakan Atilla, the Turkish banker charged with IEEPA violations, and bank fraud, in the Reza Zarrab Iran oil-for-gold sanctions violations case, in US District Court in Manhattan, have requested that their client be released on bail, citing difficulties that he has had, due to being repeatedly moved between pretrial detention centers, with assisting his counsel, and reviewing the massive amount of electronic discovery. Atilla's counsel has proposed a detailed set of conditions, including house arrest, with monitoring, in New York City, and mortgaging all his real estate assets, which they contend are sufficient to insure his appearance at future proceedings, and at trial. The nine page letter to the Court also argued that there are both procedural and substantive defects in the indictment, which counsel states is "eminently defendable,"and appeared to minimize his involvement and culpability. The Government alleges that he participated in what has been described as "Economic Jihad," and that there there were forged or fraudulent documents, and incriminating emails chaeged to this defendant. Though Atilla's close connection to Zarrab is alleged. his ties to Alireza Monfared and Babak Zanjani have not yet been specifically alleged; most likely, we must wait for the trial for that information. Thus far, there has been no bond granted to defendants in this case. We will report on the Court's ruling when it is handed down. This document* shows that Alireza Monfared was arrested, in Malaysia, on November 27, 2015, on a warrant issued by the Islamic Republic of Iran. It details his Iranian, Dominican CBI, and Dominican diplomatic passports, which were seized at the time of his arrest. Malaysian sources have confirmed that Monfared was held by the authorities, for ten days, and released, after he claimed diplomatic immunity, based upon his Dominican Diplomatic passport. Monfared had no diplomatic assignment, nor title or position, in Malaysia, rendering his status illegitimate as a diplomat, under the Vienna Convention. 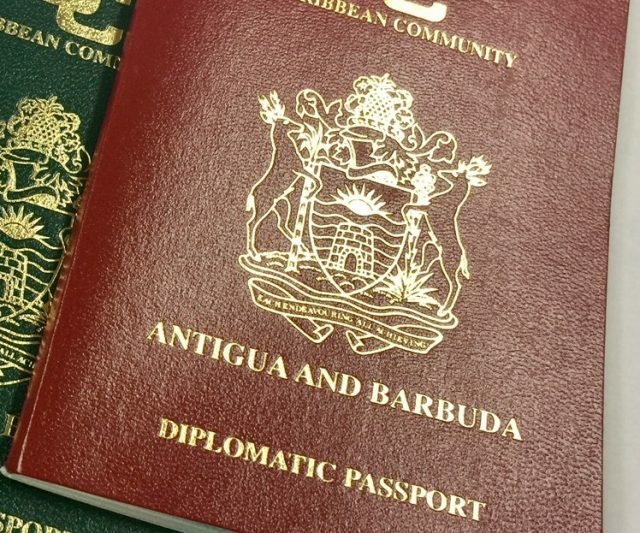 He is one of a number of foreign nationals who, when being taken into custody for criminal matters, have attempted to cheat justice by asserting diplomatic immunity, all using the bogus Dominica diplomatic passports they purchased. Notwithstanding his fugitive status, Dominica gave him refuge, and failed to turn him over to INTERPOL agents. * The name of the arresting officer has been redacted for privacy reasons. Former Panamanian president Ricardo Martinelli's July 25th Extradition Hearing has been reset to August 3rd, after his counsel moved for a continuance. A motion for reconsideration of the motion to set bond has been denied. The Order recited: "The Court's order denying the Motion for Release fully sets forth the Court's analysis of the unavailability of bond in this case, and the Motion for Reconsideration provides no ground to reconsider that Order. In addition, the primary authority cited in the motion is not ane xtradition case, so its relevance here is non-existent." 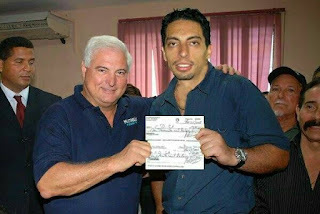 Martinelli faces multiple criminal charges in Panama; many Panamanians fear that he will evade justice, though in most cases extradition orders are generally issued, assuming the documents meet certain minimum requirements. 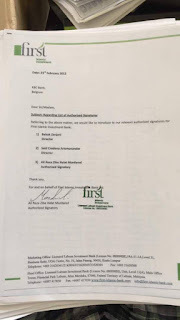 For those apologists from Dominica's government, who still insist that Alireza Monfared was properly vetted before being given both a Dominica CBI citizenship, and a diplomatic passport, take a look at these documents. He was an officer of the First Islamic Investment Bank Ltd.*, sanctioned by OFAC years before Monfared ever sought a Dominica nationality, and diplomatic passport. The correspondence identifies him as an "authorized signatory" of the bank. Did I mention that another senior bank officer, and bank owner, is Babak Zanjani, Monfared's partner, who, along with Reza Zarrab, ran Iran's massive oil-for-gold sanctions evasion program, out of Labuan, Malaysia's prime offshore tax haven ? Look again at the documents, and check out the date. Zanjani has been sentenced to death in Iran; Zarrab is looking at 75 years in a Federal Prison. This totally and completely destroys any claim that Monfared's dark past was not easily accessible. If I was a betting man, I would venture a guess that the due diligence firm, engaged by Dominica, found it, but certain greedy Dominica Government officials ignored it, and took Monfared's cash, thinking that they are immune from prosecution. Perhaps someone might want to explain who Joon Kim, the US Attorney for the Southern District of New York is, and that the Money Laundering Control Act confers extraterritorial jurisdiction. 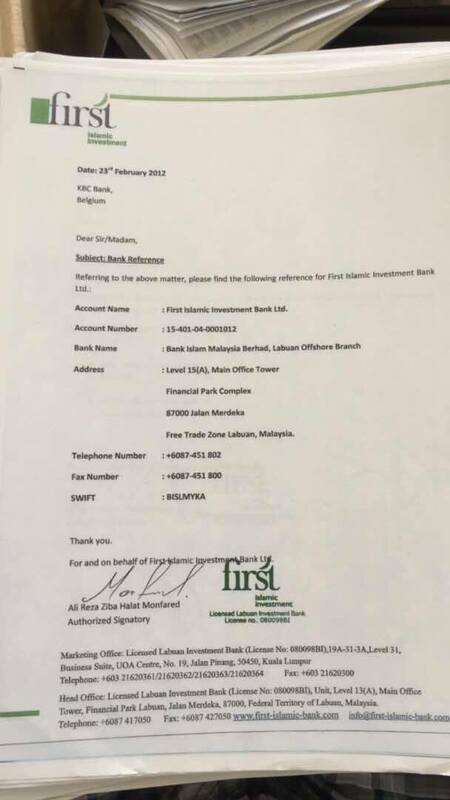 * Labuan IBFC records show that the First Islamic Investment Bank lost its charter on July 18, 2014. A civil forfeiture action, filed in US District Court in the State of Texas, seeks to seize more than $144m in assets, linked to the corrupt former Nigerian Minister of Petroleum, Diezani Alison-Madueke, who has money laundering charges pending in both the UK (FCA) and Nigeria (EFCC), confirms that Dominica's "due diligence investigation," allegedly undertaken before selling Madueke a Dominica Diplomatic passport, in 2015, was either an utter failure, or a complete fabrication. Madueke, whose UK residence contained millions of dollars in cash, when she was arrested, reportedly accumulated, with two confederates, $1.5bn in Nigerian oil revenues. It is important to note that the US forfeiture lawsuit*, filed by the Government of the United States, asserts that the illegally-acquired assets, which amounted to laundering illicit profits into an $80m yacht, and a $50m New York City condominium, and California real estate**, all took place between 2010 and 2015. This is a period prior to the alleged due diligence investigation, supposedly conducted upon Madueke, culminating the award to her of passport DP0000445, on May 21, 2015. Furthermore, the vetting of Madueke was completed in only six days, an extremely short period, during which an investigation would have been required to be conducted, and finished, in Nigeria, and in other jurisdictions. This is an impossible task for any compliance officer, or team of investigators, which has been claimed by Dominica. And who was doing it anyway, as the diplomatic scheme is NOT part of the CBI program. Finally, the suspicious role of Baroness Patricia Scotland, who reportedly acted as the intermediary, introducing Madueke to Dominica Prime Minister Roosevelt Skerrit, who hand-delivered the passport to Madueke in the UK, adds even more fuel to the fire. Scotland, whose controversial election to the Commonwealth Secretariat, alleged lavish spending habits since taking office, and experts have doubted that there was even questionable legal standing to qualify her for the position, raise even more questions about the legitimacy surrounding Madueke's acquisition of the passport. Scotland, whose attorneys have aggressively targeted media reports about her activities, to keep them from the public, knew or should have known about Madueke's situation, but still recommended her to Dominica. Madueke attempted to evade justice, by asserting her "diplomatic status," when arrested in London, but to no avail. Was that the true reason she purchased one ? Remember, Alireza Monfared, the Iranian oil sanctions evader, used HIS Dominica diplomatic passport to escape arrest in Malaysia. If there were any illusions about the legitimacy of the diplomatic passport program of Dominica, the US Government lawsuit certainly has shattered them. A rogues' gallery of criminals acquired their diplomatic status, bought and paid for with dirty money, which the current Dominica government was more than happy to accept, no questions asked. *United States vs. M/Y Galactica Star etc., Case No. : 17-cv-02166 (SD TX). 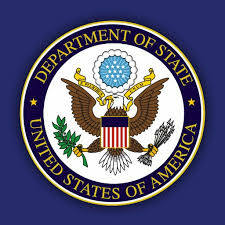 An unclassified US State Department cable, which was directed to its foreign embassies and diplomatic posts, announced that elevated standards for information, regarding foreign nationals, especially those who wish to acquire visas to enter the United States, will soon be required, including detailed data on suspected terrorists. In the event that a country fails to meet these new information requirements, the document states that sanctions will be imposed. Though short on specific details, it is recommended that compliance officers whose duties include the assessment of Country Risk, review the document, for the imposition of sanctions, by the US, due to non-disclosure of the information demanded, and the resultant sanctions, should be immediately assessed, so that your calculation of Country Risk, for those specific nations, is accurate and timely. The document, which is on the Reuters website, may be accessed here. 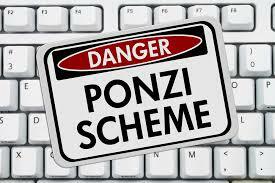 The lower court decision, which denied insurance coverage, involving alleged misconduct of executives of Gibraltar Private Bank and Trust Company, where convicted billion dollar Ponzi schemer Scott Rothstein banked, was affirmed by the Eleventh Circuit. Rothstein is presently serving a 50-year sentence, in Federal Prison, for his crimes. The US District Court, Southern District of Florida, ruled that the "professional services exclusion" provision, contained in liability insurance policies held by the bank, barred a suit against the insurers. readers who wish to review the complete text of the 11th Circuit Court of Appeals decision can access it on the Court's website, here. The style of the case is Robert Furr vs. National Union Fire Insurance Company of Pittsburgh, Pa. The Second Circuit Court of Appeals* has reversed a ruling of the District Court, where the Monitor's Report, on HSBCs progress on correcting its AML deficiencies, pursuant to a Deferred Prosecution Agreement, was ordered to be made public, after a victim of HSBC moved fore access.The appeals court held that the report was not a judicial document, and that the trial judge had no power to supervise the agreement between HSBC and the Government, nor to make the report public, pursuant to rules regarding judicial documents. There has been great public interest in the issue, as both the Government and HSBC took to position that public disclosure of the report would expose the Bank's AML program to further money laundering, and that, in the future, staff members at any bank that enters into a DPA would not cooperate, fearing that they might be publicly exposed. 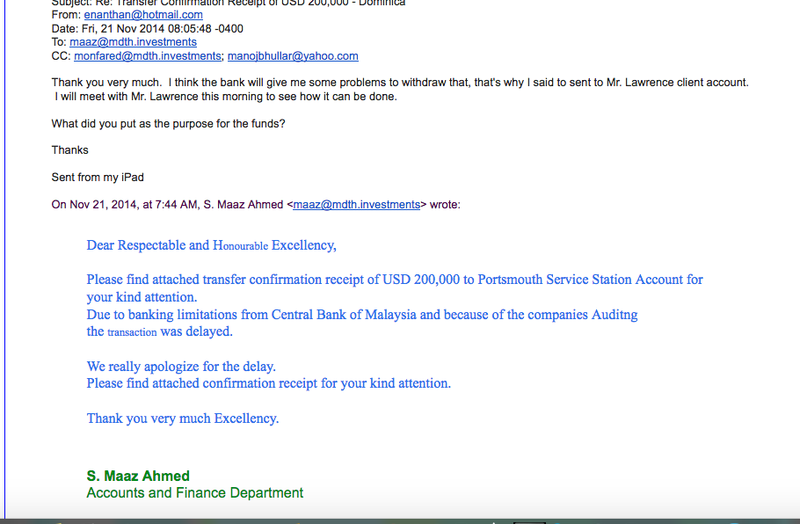 The compliance community was interested in seeing whether actual AML/CFT progress had been made by the bank. Readers who wish to review the complete text of the decision may access it here . 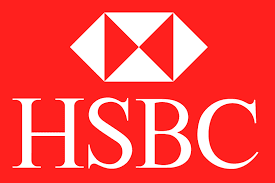 United States vs. HSBC Bank USA N.A., ___F3d____, 2017 WL 296018 (2nd. Cir. 2017). The judge in the Reza Zarrab Iran oil-for-gold sanctions evasion trial has denied a defense request to delay the trial date, which remains October 30, 2017. The letter motion, filed by defense team lead counsel, Benjamin Brafman, asserted that Mr. Zarrab " was denied access to his personal legal files, which substantially hinder his ability to have meraningful prep sessions with any of his attorneys." What is interesting about the matter is the reason the defendant did not have access to his legal materials; he was reportedly confined to what is charitably called, by the Bureau of Prisons, the "Special Housing Unit," or SHU, for 21 days. 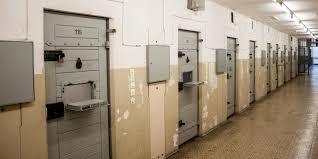 having spent some time there in my youth, I can tell you it is a spartan cell, separate and apart from general inmate population, with minimal comforts, and no real ability to work on anything, let alone trial preparation. It is imposed for punitive reasons, or to protect the inmate from others incarcerated. The layman's term solitary confinement is an appropriate, though perhaps overly dramatic, term for the SHU. One has zero privileges, and virtually all the time is spent in an extremely small cell, near others similarly situated. No reason was given for the SHU transfer, other than an SIS investigation. SIS stands for Special Investigative Services, the BOP division that reviews allegations of misconduct, as well as threats to an inmate. No further information is available, so it could be either; we do not know any details. 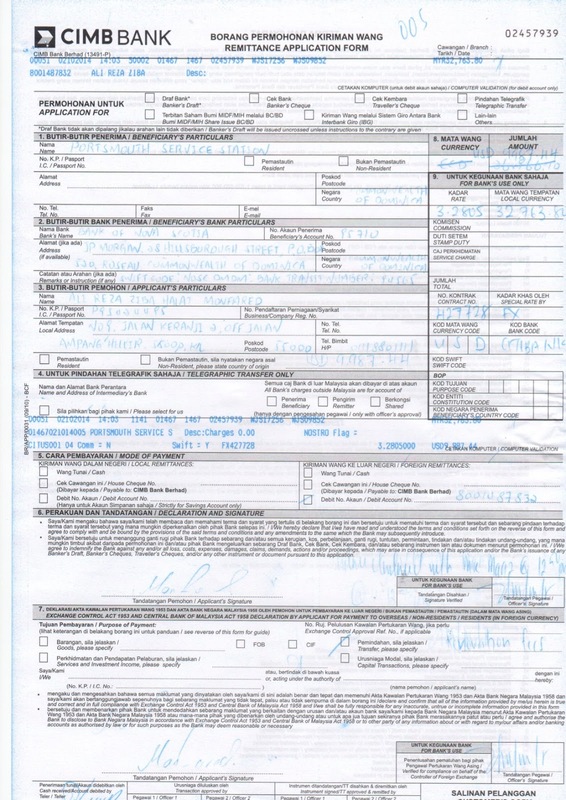 In any event, after the SHU transfer, Zarrab was moved out of the Manhattan MCC, to the Brooklyn MDC; his files have not been transferred to his new institution, though he has been there for five weeks, apparently adding to his attorneys' issue about his ability to conduct trial preparation assistance to counsel. You may recall that Richard Chichakli asserted that he had several problems with his own trial preparation, at the Brooklyn MDC, which he said were caused by the BOP. "Application to further adjourn the trial is respectfully denied. counsel and his team have been given ample time to ready Mr.Zarrab's defense. The Court has taken into consideration the concerns of the defendant, the Government, the public, as well as the Court's calendar, in fairly setting the trial date." It appears that this case is going to trial on schedule. Additionally, Co-defendant Atilla, whose attorney had previously warned that he might not have sufficient time to prepare, in opposing Zarrab's request for adjournment, has probably fatally damaged any chances he might have to delay the trial. 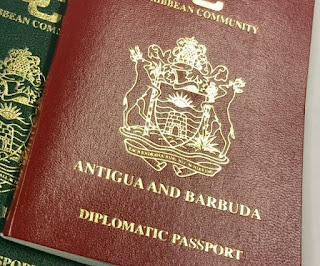 ANTIGUA'S BELATEDLY RELEASED DIPLOMATIC PASSPORT LIST: CLEAR AND PRESENT DANGER ? 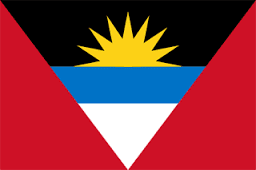 After six months of unexplained, and apparently intentional, delay, Antigua & Barbuda has publicly released what is captioned the "Revised Diplomatic Passport Listing." 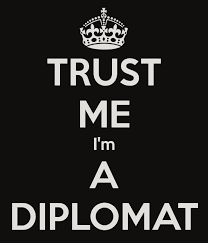 A careful review of that information confirms the longtime fears of compliance: there are a significant number of individuals on that list who have no legitimate diplomatic assignment, who are from high-risk countries, and who have the capability, with their officially-issued diplomatic passports, to cause significant damage, through financial crime, especially in the developing world, where such diplomatic status confers instant legitimacy. (1) Many of the "diplomats" are from the Arab world; some appear to be Russians. 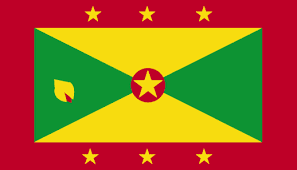 Do these individuals speak English, which is the official language of Antigua ? (2) Many have clearly bogus, or artificially created, assignments or titles, such as Economic Envoy, Ambassador at Large (which is supposed to indicate a special status), Former Honorary Counsel, Business Development Officer, Diplomat, or are listed as non-resident ambassadors. These are definitely not true assignments, only honorary designations, to apparently justify their passports. (3) Inasmuch as names that are not originally in the Latin alphabet, such as Arabic names, must be transliterated into English, the results appearing may not be accurate translations . How is a compliance officer to accurately conduct due diligence on them ? (4) I am not satisfied with the passport numbers appearing, which should be four, or even five, digits, to allow for expansion. Is this itself a redacted document, and not accurate ? (5) Why are agents of the CBI program issued diplomatic passports ? The excuses offered by the Antiguan government do not wash; if you have passports issued improperly by a prior government, cancel them. Do not say Antigua cannot afford to send diplomats everywhere, and that is why there are unexplained foreign assignments that are obviously bogus. The list is worse than we anticipated; its merely illustrates that the retail sale of Antigua diplomatic passports has resulted in some unknown (read:possibly dodgy) individuals having tools that could facilitate financial crime, or even terrorist financing. Those Antiguans who believe that this program should be terminated are eminently correct; kill the gravy train, please. 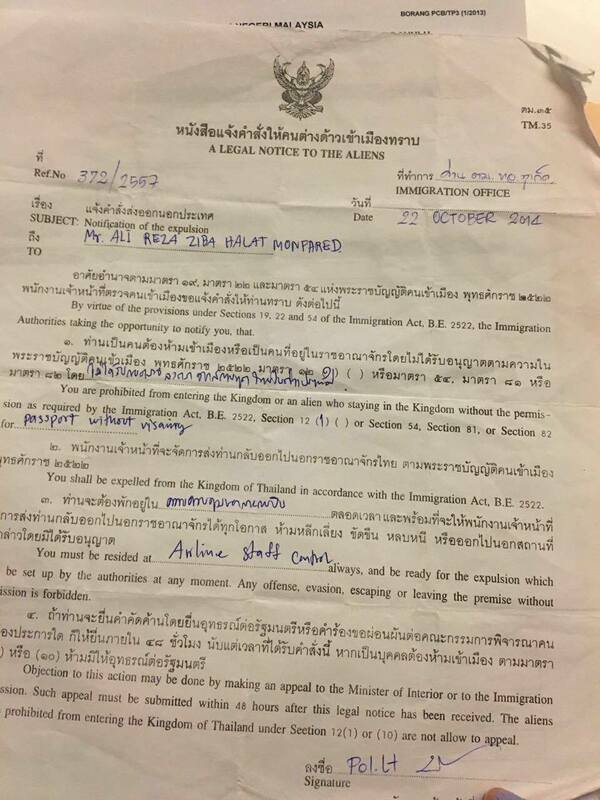 Alireza Monfared, the Iranian oil sanctions evader, and partner of Reza Zarrab & Babak Zanjani, both under arrest, actually requested his Dominica diplomatic passport after he had been detained, for deportation, in Thailand. Emails recently made available confirmed that Monfared's diplomatic passport acquisition was conducted under opaque circumstances, and after he saw that his Dominica CBI passport was no help, when it came to evading law enforcement agencies abroad. 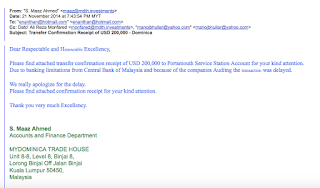 The emails, which have now appeared on the Internet, appear to show that Monfared's agents sent in an application for a Dominica diplomatic passport after his arrest in Thailand. Obviously, there was zero due diligence performed at that point. We also not that Monfared was offered the Domincan ambassadorship to Malaysia at that time, notwithstanding his deportation. The head of the Dominica CBI program later, very assertively, asked when the money was going to be wired in. 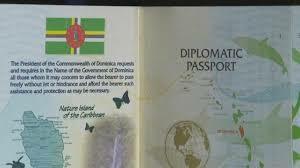 This is quite interesting, because the country's unauthorized, and illegal under international law, diplomatic passport sales program, is NOT part of Dominica's CBI program. 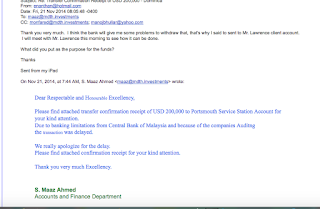 So why did the CBI program manager demand payment, in a blunt manner ? That's because the program is only a cash flow device for certain corrupt leaders in Dominica, who use it to fund their reelection campaign, allowing them to remain in power indefinitely. Meanwhile, the world business community, and its banks, are deceived, and injured, by counterfeit diplomatic, who are, in truth and in fact, career criminals with a license to steal, facilitated by the Government of Dominica, now truly a racketeering enterprise, whose "clients' prey upon others. ARE AFFLUENT MAINLAND CHINESE CLIENTS TOO HIGH RISK FOR WESTERN BANKS ? It is getting to the point where the risk levels, of accepting wealthy new clients from the Peoples' Republic of China, are becoming so elevated that prudence many demand compliance officers at North American banks decline their business altogether. The potential negative publicity, when an affluent Chinese client is named as a fugitive from Chinese justice, simply outweighs any potential profit banks may gain from these clients. (1) China is actively looking for those of its nationals that it alleges are major tax cheats, fraudsters, corrupt PEPs, and other classes of sundry and assorted accused wrongdoers, whose crimes may simply that they fell out of favor politically, or were associated with one who did. You do not want your bank client named as a financial criminal, in major media in the US or Canada. (2) What constitutes money laundering in China includes using any part of the $50,000 ceiling Chinese are allowed by law to change their local currency into, for an "unapproved" and undeclared purpose. Your client's purchase of North American real estate could have made him or her guilty og money laundering in China. Compliance risk assessments should note that the chances that wealthy Chinese expats will be accused of criminal or corrupt activities, by his own government, than any other jurisdiction, and conduct enhanced due diligence, prior to onboarding the client. Buried in the news about North Korea is the disclosure that the Department of Justice is looking at transactions at eight major US banks, for the purpose of locating, and seizing, transfers involving Chinese banks who are fronting for North Korea, which is the subject of major American sanctions. US-based Compliance officers would be well advised to examine any substantial payment being directed to Chinese banks, located in the northern portion of the country, to rule out hidden transfers destined for North Korea. A possible rule of thumb: the closer to the Yalu River (PRC-DPRK border), the bank is, the more you should trot out your enhanced due diligence specialist. Does the bank's business include North Korea ? Be always alert for any possibility that your bank client is buying goods, which are ostensibly of Chinese manufacture, and even marked "Made in China," but truly crafted in the DPRK, and shipped through China. Do your client's "Chinese" purchases constitute goods that are known to have been manufactured in North Korean factories in the past ? If there are a number of Red Flags, you may want to being in an expert in the precise field, to consult with, to render an opinion on the issue. Ricardo Martinelli, fighting an extradition warrant from his native Panama, where he faces charges of conducting an illegal surveillance program, and illicit enrichment, must remain in the Federal Detention center, as the Court determined that he was a flight risk. The former president's team of attorneys' efforts to have the matter dismissed were also unsuccessful. Is there really a procedural defect in the extradition documents, and were the defects included intentionally, so that Martinelli's extradition will not occur ? Many Panamanians who are wise to the corrupt nature of certain senior members of the present government fear that the problems with the documents are not attorney posturing, but actual flaws, rendering them ineffective to achieve extradition. Was this the work of the Varela government, who have much to lose, if Martinelli chooses to expose their mutual dark past. The hearing has been scheduled for July 25th. An extradition that was previously thought to be a foregone conclusion is now in doubt; Stay tuned. 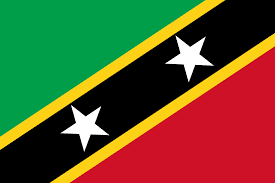 The Federation of St Christopher & Nevis, more commonly known as St Kitts, has announced, through the CEO of its Citizenship by Investment Unit, that it will be adding a residency program to its existing immigration and investment options, to meet demands for such a program. Approved applicants, who would be required to spend at least a portion of the year in actual residence, would receive a residency card. 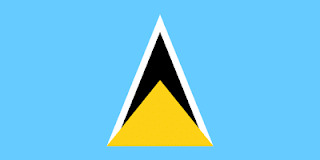 Compliance officers at North American financial institutions, who have observed multiple hiccups with the St Kitts' CBI program, will be alarmed to learn that individuals who are accepted into the program, and who become Residents, will be able to subsequently "convert" their status into a CBI citizenship, according to the public announcement. Will these conversions be handled with an adequate level of enhanced due diligence, or be quietly approved, more or less automatically, due to the additional income they will bring in to government offers ? You can be sure that, upon reading the above information, money launderers and other financial criminals, not to mention wealthy PEPs who have stolen government funds, or accepted bribes & kickbacks, have made inquiries of their professional advisers, or will contact the CBI agents who are authorized to process such transactions. One wonders to what illicit use career criminals intend to employ this residency status. 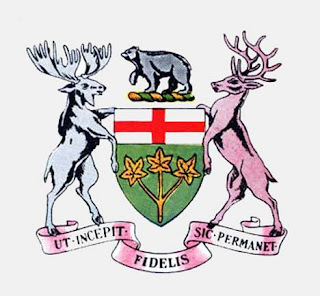 The Ontario Court of Appeals has affirmed the judgment of the Superior Court of Justice, regarding a $1.7bn claim against the Islamic Republic of Iran, filed by victims of Hamas and Hezbollah terrorist acts, and their heirs. The Court acting pursuant to the Justice for Victims of Terrorism Act (JVTA), rejected Iran's procedural arguments, including the diplomatic immunity of its seized assets. The style of the case is Tracy vs. Iran. The plaintiff had already obtained final judgments, on the merits, against Iran, and were seeking to levy upon assets, namely real estate, and bank accounts, located in Canada. Readers who wish to review the complete 60-page text of the Order, here. 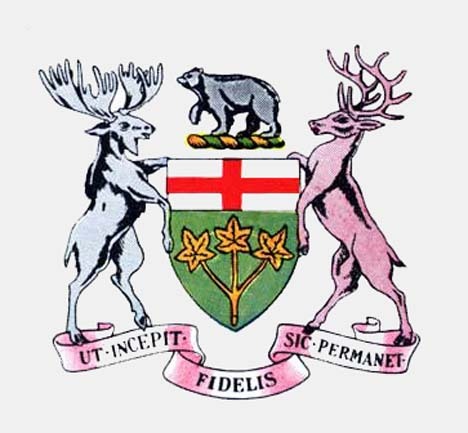 The impact of the appellate decision: Foreign states are now liable in Canada for Terrorism. The explosion of what purport to be diplomatic passports, but in reality are actually tools, used to commit transnational crime, evade the long arm of justice, and facilitate terrorist financing, represents a clear and present danger to the global financial structure. The presence of bogus diplomats in the field, possessing what is effectively a license to steal, allowing them to pass, uninspected ,through customs, avoid arrest, and to masquerade as a legitimate representative of a country that they may never even visited, is unacceptable, must be suppressed, even if radical, but still legal, measures must be applied. Effective countermeasures, on an international scale, can be implemented, without disturbing the sensitivity, national sovereignty, and local justice systems of the East Caribbean republics that are, or have been, selling diplomatic passports to foreign nationals, which violate the Vienna Convention. Those five countries are certainly familiar to American, and especially, Canadian, law enforcement and immigration agencies. Since the fees, generated by the sale of diplomatic passports, to dodgy foreign nationals who wish to operate under the cover of legitimate diplomacy, are so lucrative, and have become, in several countries, a drug that the corrupt governmental recipients are addicted to, extra-national remedies are in order . 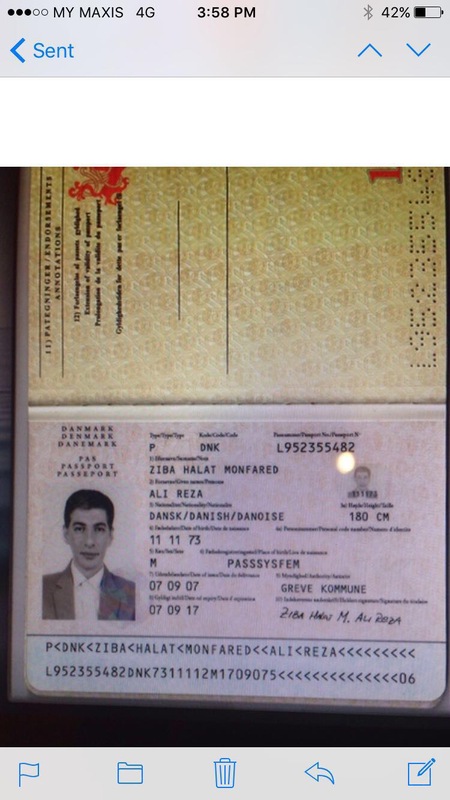 First, the sale of these diplomatic passports, which violate multiple requirements of the Vienna Convention, which was ratified by the United Nations, and therefore constitutes international law, as to all UN members, qualify as an Abuse of Power, on the part of the senior governmental officials who are vending them, and profiting from their sale. The place for relief is the International Criminal Court, where the Prime Ministers, Foreign Ministers, and Citizenship by Investment (CBI) agency heads, all should be charged. INTERPOL Red Notices should be issued against all of them, without exception. Facing criminal charges, in court that is usually reserved for national leaders who commit Crimes Against Humanity, or Crimes Against the State, as well as crippling OFAC actions, as well as international alerts on all diplomatic passports from those countries, which could even hit the CBI passports, the five offending countries' leadership may choose to terminate, with extreme prejudice, their illicit diplomatic passport programs, lest their nations become international pariahs, severely damaging their local economies, affecting critical foreign remittances, and even imports. Second, those same government officials, whose illegal acts, made under the professed cover of legitimate local laws or executive orders, and who move and transfer their illicit wealth, so as to commit money laundering, all deserve to be named & shamed, by the US Treasury's Office of Foreign Assets Control, or OFAC. Let them then try to move all those dirty dollars anywhere in the world, or try to enter the United States, to spend some of it. The problem will not go away, and the local Caribbean governments, save an invasion by the US Marines, will not kill their "golden goose," extraterritorial action is the only effective course of action. Will the US & Canada step up to the plate, and use these tools to shut down these illegal programs ? 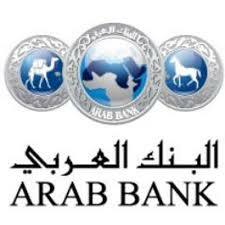 Compliance officers who have been following the decade-long landmark cases, filed against the Arab Bank, pursuant to the Alien Tort Statute (ATA), may review the complete text of the Petitoners' 70-page Brief here. 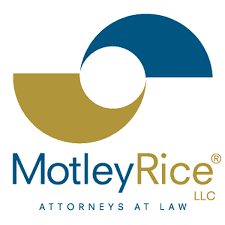 Lead counsel for petitioners, at Motley Rice, are Michael Elsner, John Eubanks, and Jodi Westbrook Flowers. The principal issue is whether there can be corporate liability under the Alien Tort Statute. readers who are unfamiliar with the facts are urged to read earlier articles on the subject, previously appearing on this blog. DID OFFICIALS IN DOMINICA AID IRAN IN OIL SANCTIONS EVASION ? Did senior officials in the government of the Commonwealth of Dominica intentionally facilitate Iran's illegal oil sales program, which artfully evaded United Nations, and American, sanctions ? A number of financial intelligence analysts, as well as Dominicans who have first-hand knowledge of the Alireza Monfared diplomatic passport sales scandal, as asking themselves that question. (1) Alireza Monfared, the Iranian national who purchased both Dominican CBI, as well as diplomatic passports, was engaged in massive illegal sales of Iranian crude, with Reza Zarrab and Babak Zanjani, effectively circumventing United Nations and US sanctions, employing a gold-for-oil scheme, later converting to US Dollars. (2) No less than eleven Iranian oil tankers were registered in Dominica, by 2015, and transported the crude, from the Persian Gulf, to the waters off the Malaysian offshore financial center (read: tax haven) of Labuan, where Monfared conducted sales transactions. 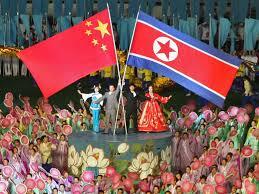 Thereafter, most of the oil was delivered to the Peoples' Republic of China. (3) The operator of those vessels, Ocean Tankers, is a subsidiary of Hin Leon Group, from Singapore, owned by the Lim family, overseas Chinese based in Singapore, but known to have extensive interests in the oil industry in Mainland China. 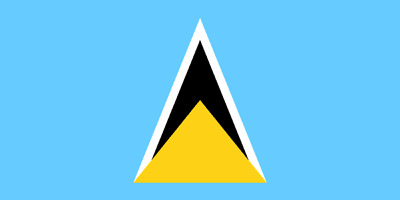 Dominica maintains diplomatic relations with Singapore, through its embassy in Beijing. (4) UN sanctions on Iran were lifted January 16, 2016, and Dominica "cancelled" Monfared's diplomatic passport. By the way, cancelling his passport did not cancel his Dominican citizenship, obtained through the CBI program. he still had his CBI passport, and was a citizen. (5) Dominicans have reported that Monfared's villa, at Morne Daniel, was within walking distance of the Chinese Embassy for Dominica. 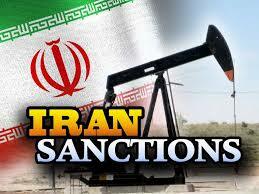 Did he coordinate the deliveries of the sanctioned Iranian crude to China ? (6) It is curious that, after Monfared relocated to the Dominican Republic, a notoriously corrupt nation, where money talks, Monfared (who showed up in Dominica with huge suitcases) was easily located, and extracted, by Iranian agents. Did Dominica tell Iran where he was staying ? (7) Monfared's unique route home, Havana-to-Moscow-to-Tehran, which was obviously designed to evade US airspace, or any US allies, confirmed our suspicion that Monfared had information the Iranians did not want America to have. Intelligence agent, perhaps ? Iran went to a lot of trouble to keep him from falling into US hands. 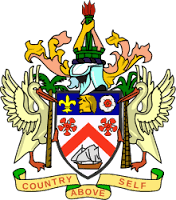 The utterly corrupt senior leadership of the Commonwealth of Dominica, who have unilaterally taken control of funding from the government's CBI program, and the illegal diplomatic passport sales scheme, openly operate a parasitic socialist economy, totally dependent upon diverted funds. The Prime Minister is aligned with the leftist governments of Cuba and Venezuela, and Dominica must be considered an ally of Iran & China. 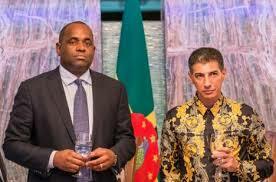 Did Dominica violate UN sanctions on Iran, and should this be brought to the attention of the United Nations, for possible sanctions, and should the United States also impose OFAC sanctions upon Dominica's Prime Minister, Minister of Foreign Affairs, and their Senior Counsel ? 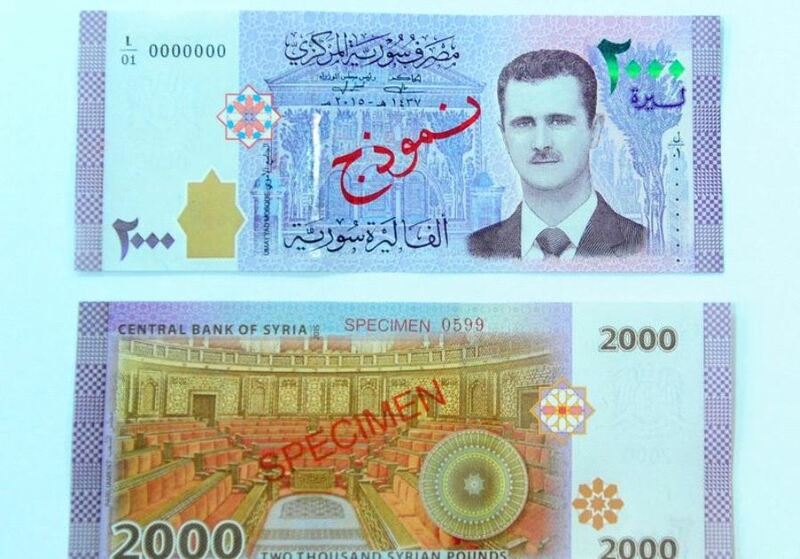 This is the new 200 Pound note issued by Syria, and reportedly placed into circulation yesterday. it is the first appearance of the country's current president on the currency. 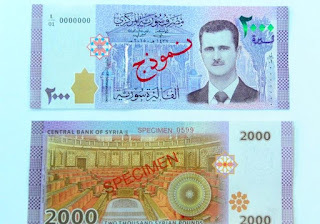 Being that it will only be in official circulation in those areas of Syria where Assad is in military control, if you subsequently see this note, in the possession of a bank client, given sanctions in place against Syria, you may want to make further inquiries. Is/was your bank client a PEP ?